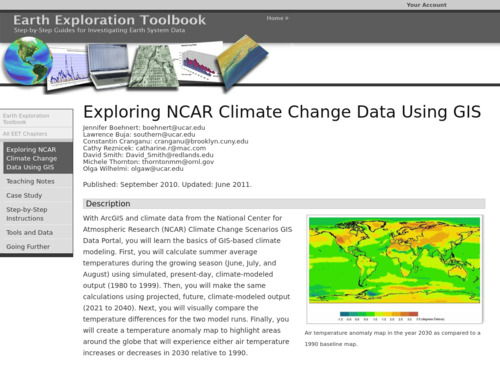 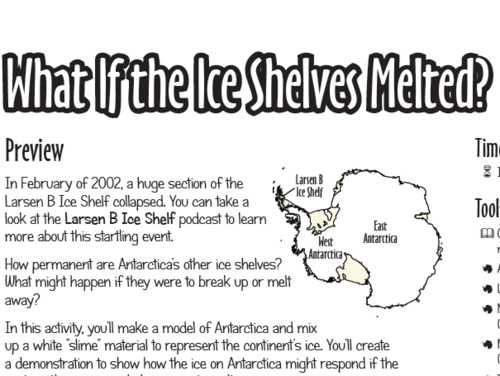 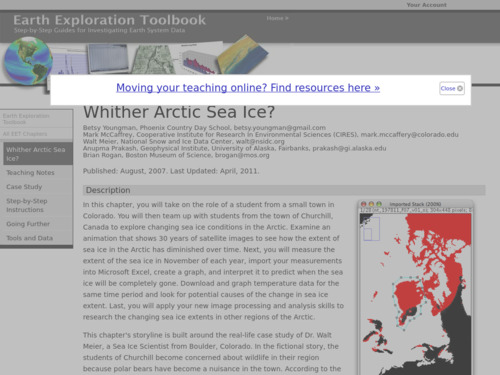 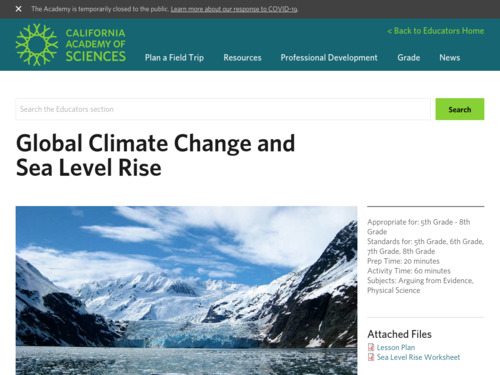 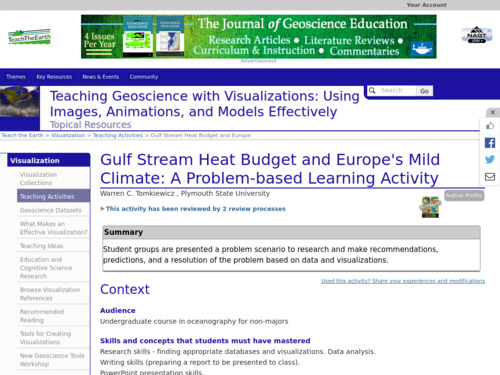 In this activity students work with real datasets to investigate a real situation regarding disappearing Arctic sea ice. The case study has students working side-by-side with a scientist from the National Snow and Ice Data Center and an Inuit community in Manitoba. 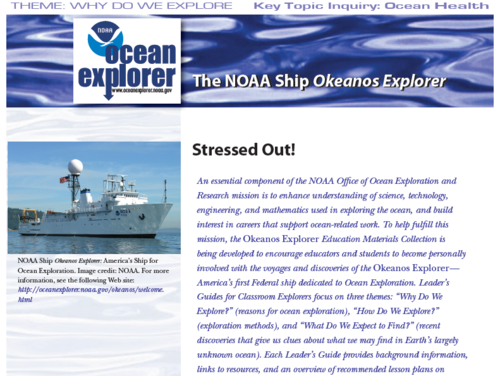 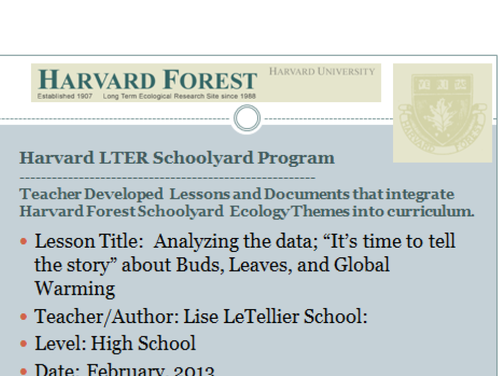 In this activity, students research various topics about ocean health, e.g. 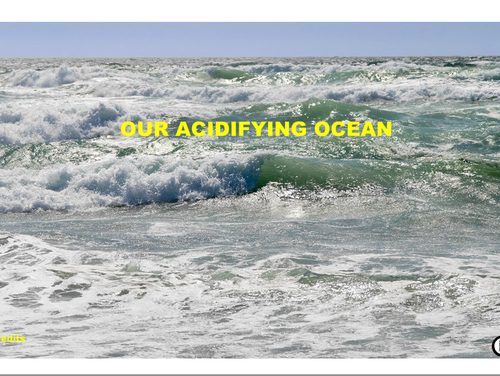 overfishing, habitat destruction, invasive species, climate change, pollution, and ocean acidification. 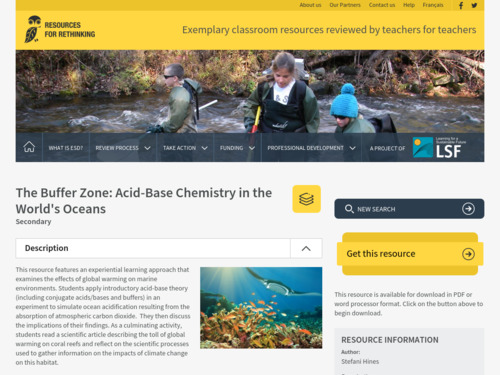 An optional extension activity has them creating an aquatic biosphere in a bottle experiment in which they can manipulate variables.